Of course, Warpstock would not be complete without a logo... So here it is! It features the Domtower, a famous landmark in Utrecht. 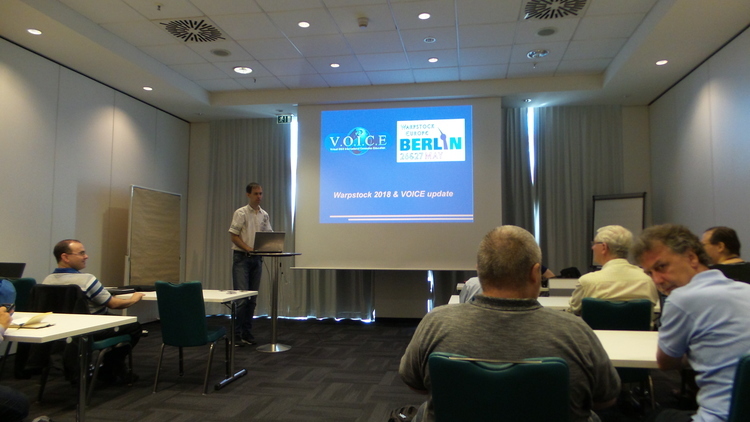 Last year the OS/2 VOICE foundation announced that Warpstock Europe 2019 would be held at the Stay Okay Youth Hostel in Soest the Netherlands on the 18th and 19th of May 2019. Unfortunately, the communication with the Youth Hostel was very difficult. I had to call and email them several times to even get a price quote. I had to wait for about 4 tot 5 months for this price quote and I also had to supply the emails back to the Youth Hostel they had lost. Together with a few other issues this did not give me much confidence; who knows what else could go wrong... So, in the end, the event at the hostel was cancelled. The reason the community was not informed earlier, is because I was not able to do so due to private issues. Yes, I have been mostly offline in the last couple of months. 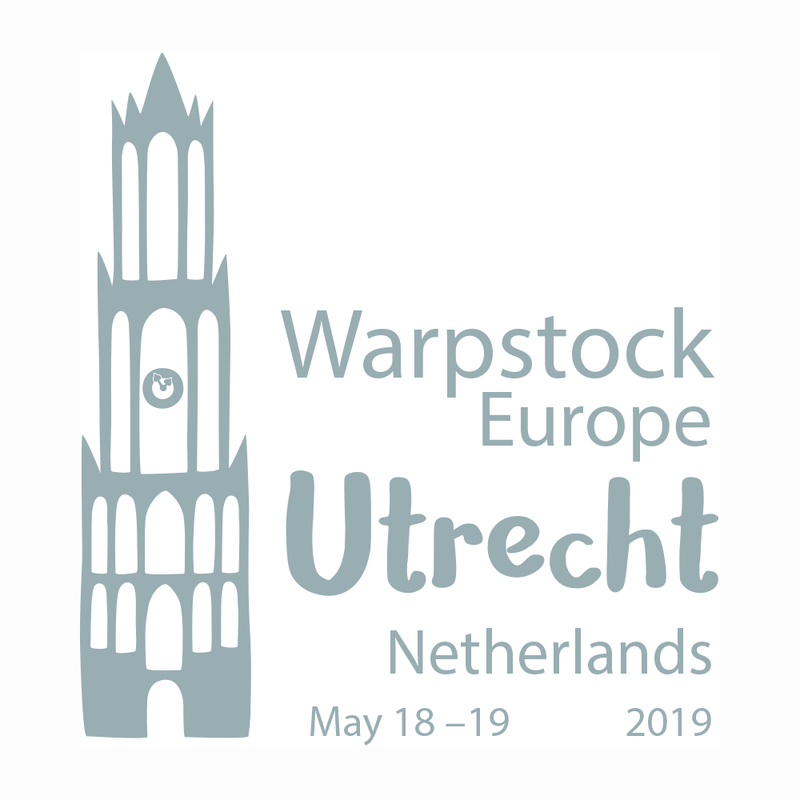 The new location for Warpstock Europe 2019 is the IBIS Hotel in Utrecht, which we think is even better because it is located in the old and beautiful city of Utrecht. The current version of the Warpstock schedule can be found here. If you want to book a hotel room you can get a small discount by mentioning the discount code WARPSTOCK, but you need to book via the email address above. For those of you who have already booked an hotel in Soest and cannot cancel it, I am sorry for the inconvience. But, you can use a direct local train service that runs to and from Utrecht Central Station every 30 minutes and stops at 3 stops in Soest (it terminates at the station of Baarn). The travel time is about 20 minutes to Utrecht Central. If you do not have Dutch OV chipcard the cheapest way to buy a ticket is to buy an eticket to Soest to Utrecht Central station (you can pay with your creditcard). Access to the event for the day. Unlimited coffee, tea and water during the conference. You need to buy your ticket before the May 9th as we need to inform the hotel how many people are coming. For Saturday and Sunday access costs €70, a single day is € 35. You can buy your ticket via this page (Booking option is at the *bottom* of the page). If you are coming from Germany by train a direct IC service runs from Berlin to Amsterdam Central Station every 2 hours. You need to change trains at Amersfoort, from there it is another 20 minutes by train. The ICE train from Frankfurt/Basel stops at Utrecht Central station; this trian also runs every 2 hours. If you land at Schiphol Airport you can travel to Utrecht Central with a direct train service; it takes about 30 minutes by train. At train stations where the OV chipkaart gates are closed you can use your international train ticket with a QR barcode to open a gate. From Utrecht Central it is a 20 minute walk to the hotel. You can also use bus 5 from Utrecht Central in the direction of "Oog in Al" and get off at busstop "Welgelegen". Bus tickets are pretty expensive. You should be able to find an U-OV ticket machine at Utrecht Central and busplatform C1. However your bankcard may not be be accepted! VISA cards are not accepted for example. In the bus you can not buy a ticket with cash money. However according to the public transport company in Utrecht U-OV you can buy a ticket with your credit card. Cash money is not accepted in public transport in the Netherlands! If you are intending to stay longer in Utrecht the following brochure might be interesting with suggestions which places to visit Utrecht. 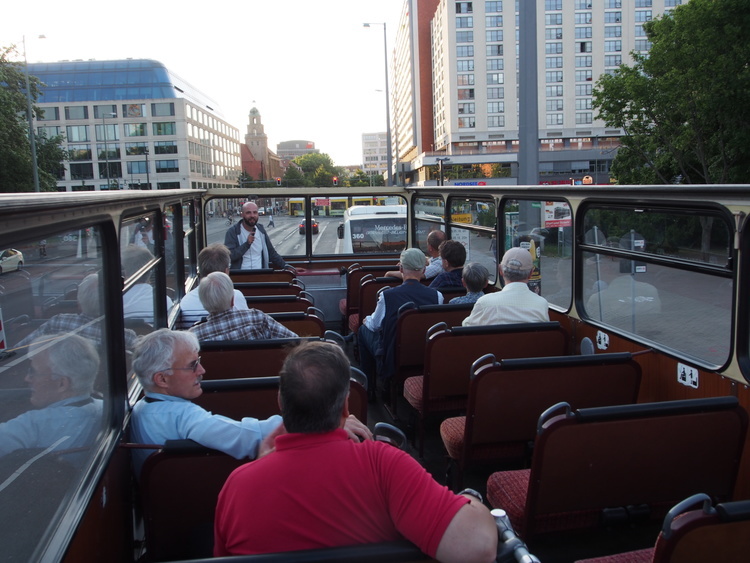 But you can also explore the old city center with its canals or visit the Dom tower by yourself. Currently a social event on Friday evening is not planned. We even had a conference banner. 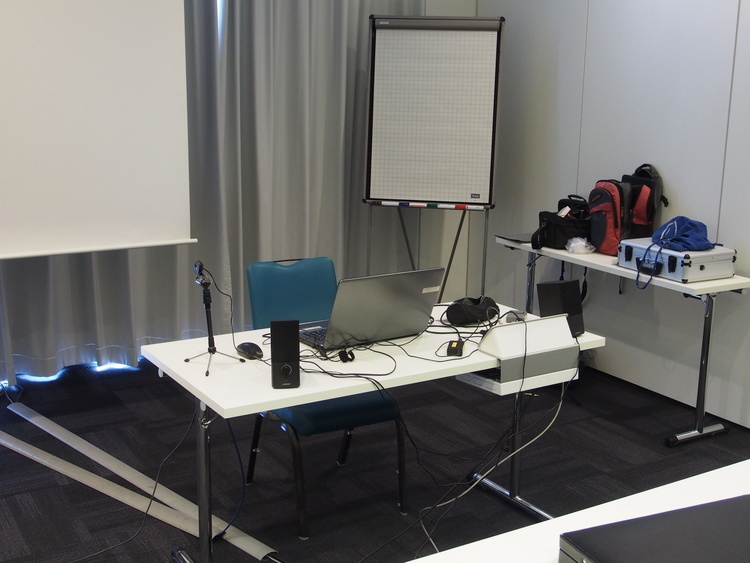 This is all you need to create a live web-conference these days. 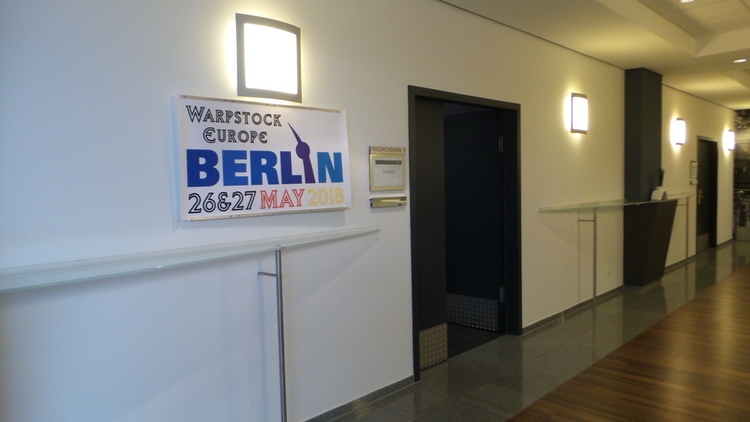 Below is the presentation schedule for Warpstock Europe 2018 26/27 of May 2018 in Berlin..
On Saturday & Sunday all presentations will be given in one of the meetingrooms on ground floor. The name of the room is currently not known yet. There will be room for about 30 people. 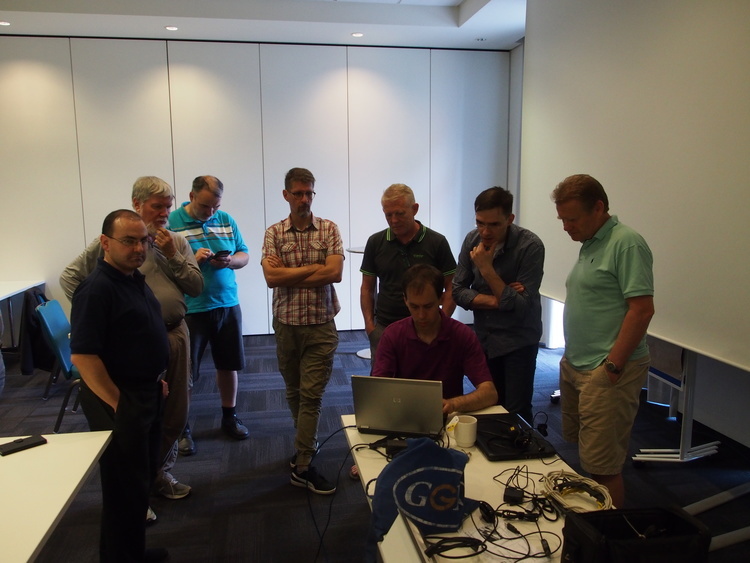 All presentations will be streamed via an audio and video stream. Please see this page for details. 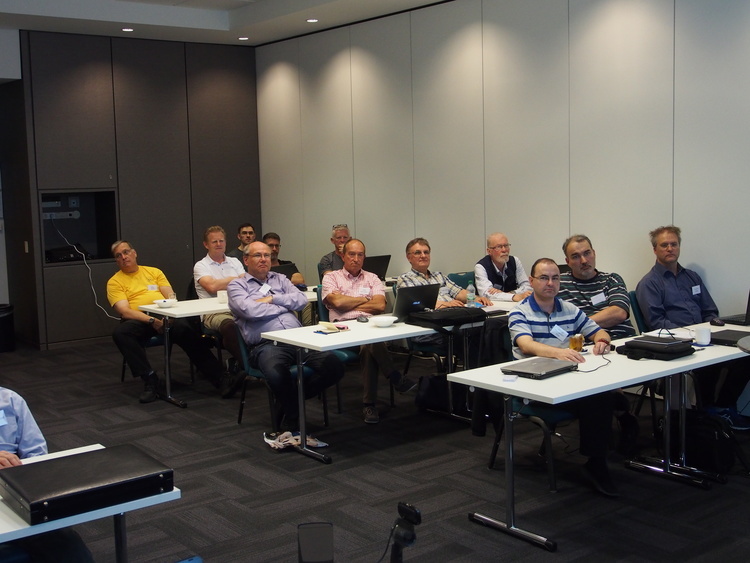 *: ArcaOS the new OS/2 distribution from Arca Noae LLC. 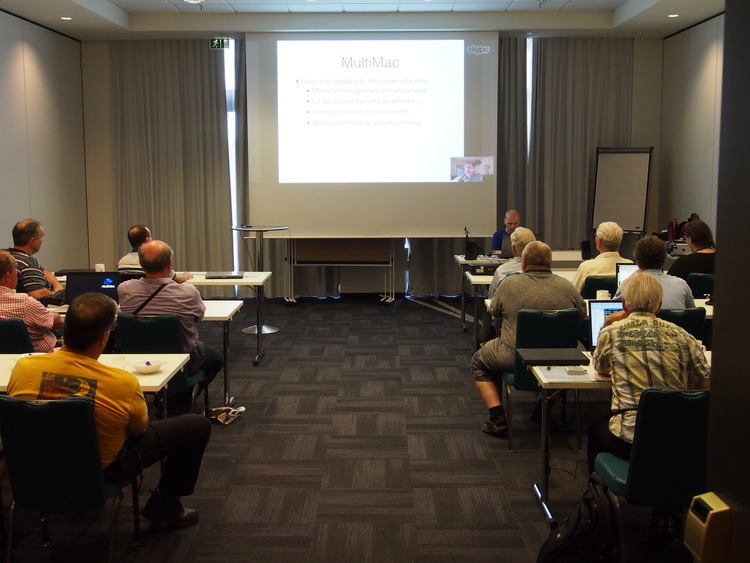 R = will present remotely. 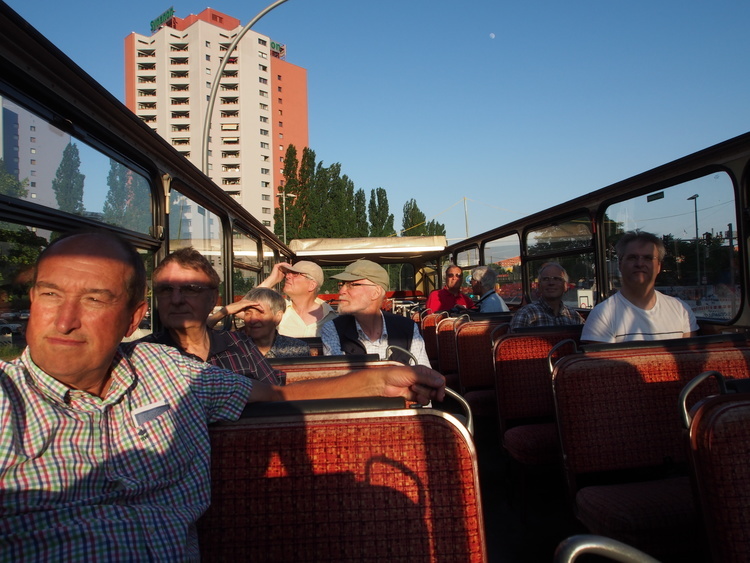 Getting around in Berlin is easy with its dense public transport system. For the more adventurous, a lot of hotels offer bicycle rent as well. The two largest public transport hubs near the conference hotel are Alexanderplatz and Landsberger Allee S-Bahn station. 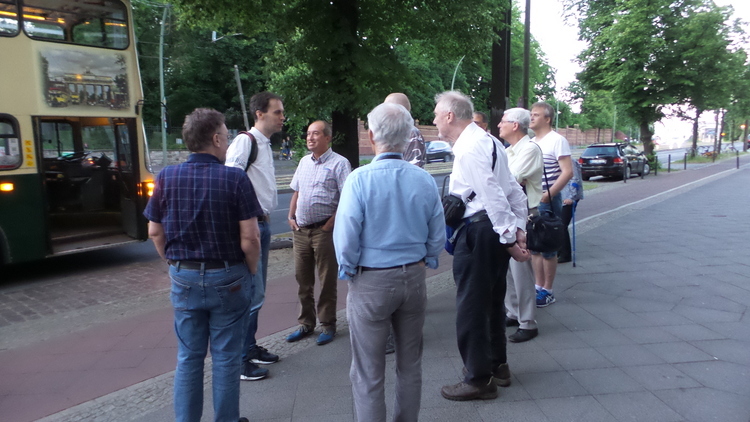 The hotel is situated approximately halfway between these hubs; the closest stops are Platz der Vereinten Nationen and Klinikum im Friedrichshain. Trams M5 and M6 run between Alexanderplatz and Landsberger Allee and serve these stops; tram M8 stops there as well but does not go to Alexanderplatz. Note that the hotel is located in a hill; Platz der Vereinten Nationen is at the lower end, while Klinikum is at the upper end. The closest U-Bahn station is Strausberger Platz (U5); from there it is a short (uphill!) walk. Berlin Central Station, Alexanderplatz and Landsberger Allee and the hotel all lie within the "A" tarif zone of the Berlin public transport zone. 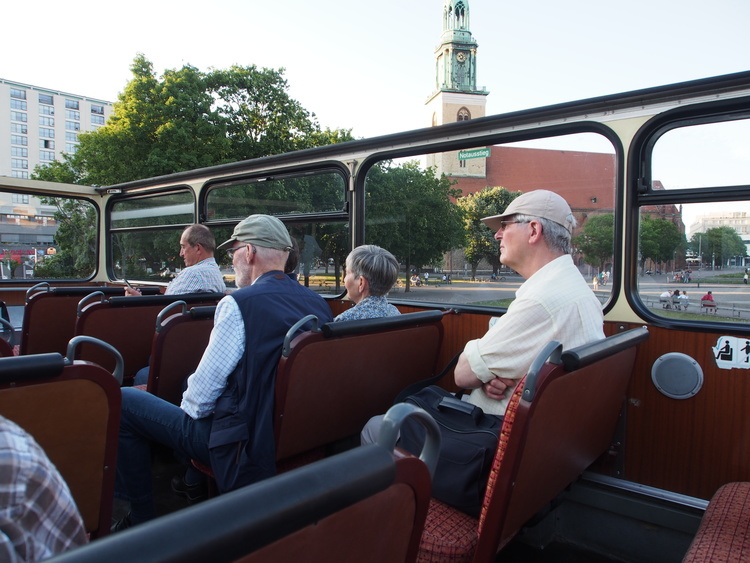 Your average navigation system should be able to find Berlin (the one in Germany that is, not the various namesakes in the USA, South Africa or Russia). But as with all large cities find a spot for your car can be difficult and/or expensive. To find a parking garage or place try Parkopedia. Also Berlin has a low-emission zone for which you need an Umweltplakette. 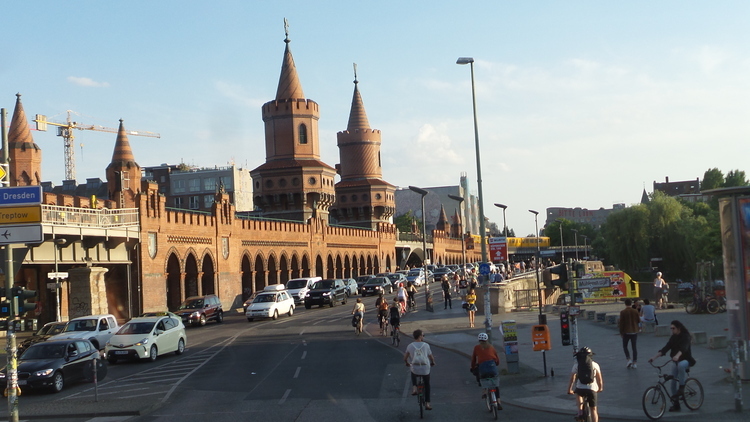 Berlin is linked to many place in Germany and Europe by a high-speed train network; the booking site of the Deutsche Bahn is one of the best places to look for connections and they offer cheap tickets if you book well in advance. Most trains stop at Berlin Hauptbahnhof (Central Station). From there you can take the S-Bahn (S5 or S7) to Alexanderplatz and change there for the tram. Berlin Tegel Airport (TXL) is the main international airport of Berlin; oddly enough it does not have a direct train or S-Bahn connection to the city but there are several BVG bus lines. 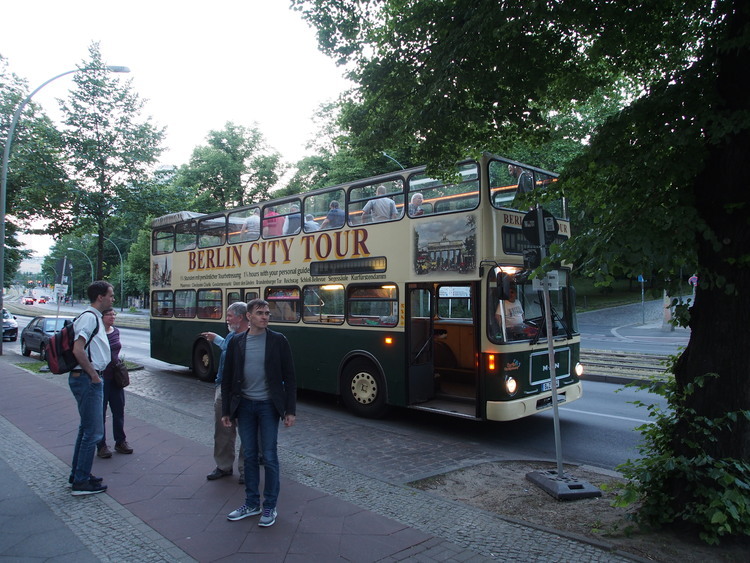 The TXL Express bus runs to Alexanderplatz frequently between 7:00 and 22:00 (and presumably all through the night as well). There is also a second airport, Berlin Schönefeld, which has more airlines flying within Europe. This airport however has a direct train connection to Landsberger Allee S-Bahn (see above), with the S9 running between Schönefeld and Pankow. Finally, there is a chance you find a direct flight to Frankturt where a lot of intercontinental flights land. 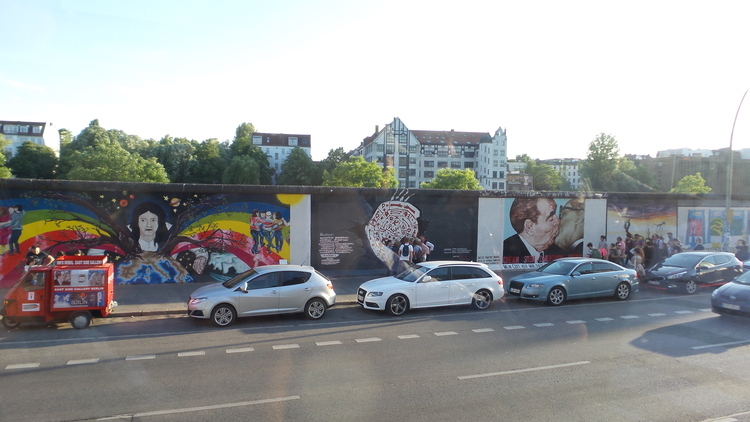 From there you can take a high-speed train (ICE) to Berlin. Staying over in Berlin for WarpStock Europe 2018 shouldn't be a problem; there are many, many hotels, pensions and places like AirBnB to stay. Here's a short selection, but these are definetely not the only places to stay! 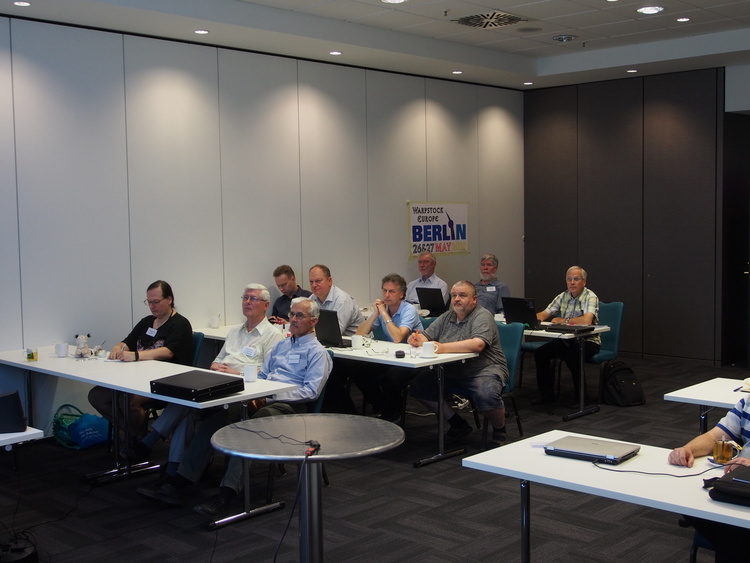 First off is of course the NH Berlin Alexanderplatz where the conference is held. It's not the cheapest but it has amenities like a fitness area, a spa with steam room, sauna, cozy bar and a restaurant. It also offers "Lazy Sunday" late checkout (at 17:00!). 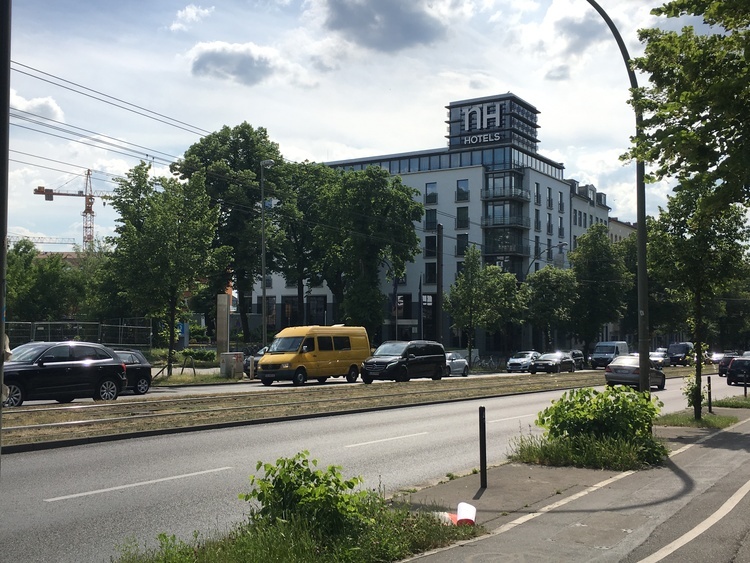 For a bit less money there is the Ibis Budget hotel at Alexanderplatz which is only 15 minutes of walking or 2 tramstops away from the conference hotel. 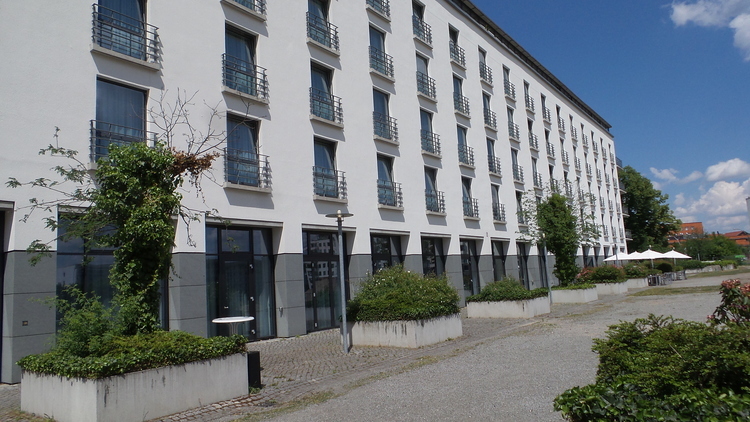 For even less there is the Generator hostel near the Landsberger Allee S-Bahn station, also at 15 minutes walking distance. If you want something a bit more luxurious try the Vienna House, next to the same S-Bahn station, or Hotel New Berlin. If still not sure, checkout sites like booking.com, Tripadvisor or Trivago. Tickets for Warpstock Europe 2018 can now be bought from the Arca Noae webshop, as usual. The price is $60 per day and includes lunch, unlimited coffee & tea and two breaks with snacks. Sales closes May 1st and tickets cannot be bought at the conference, so make sure you book in time!